The story of TechGraphics began many years ago when a Mac Plus loaded with PageMaker made its way to a college newspaper office. The rest, as they say, is history. 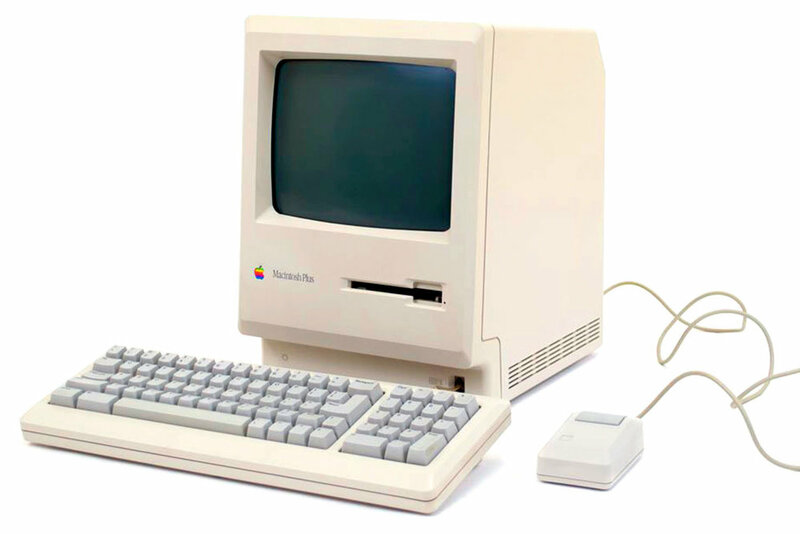 Where it all began: The Mac Plus, with a floppy disk drive and 1 megabyte of RAM. Back in 1986, it seemed like — and was — a huge amount of memory for a desktop computer. Yes, Pete still has a couple of these at his house. I’m Pete Martin, and I love technology — especially Macintosh computers and everything Apple. I’ve been working on Macs for more than 25 years. As a newspaper editor, writer and designer, I used a Mac every day to write stories, edit photos, design pages and post content to websites. When I was prepress manager for a commercial printing company, I designed, managed and maintained a network of Mac — and PC — workstations and servers. And, since I was also using these computers to get my work done every day, I knew the software, and learned firsthand how to make these systems operate at peak efficiency. By necessity, I provided technical support for myself and my team. Why? It’s hard to find great Mac support. Honestly, it’s hard to find great IT support! I learned firsthand how businesses need real solutions to help them work better. That’s why I created TechGraphics. I became the go-to guy to fix Apple and Mac problems. I’m the guy who can fix a new Mac as well as a 15-year-old model that’s still performing some critical task for a business. The truth is, Macs are not that complicated. But throw Adobe Creative Cloud, fonts, color management, and Mac and Windows servers into the mix, and things become complex pretty fast. WHO AND WHAT IS TECHGRAPHICS? I lead the TechGraphics IT efforts, but consult and work closely with several talented individuals who bring lots of IT and IT management experience to the table. Mike is the firewall expert, and Laura is exceptional at planning, management, security/safety and deployment planning. How many times have you heard, “Macs can’t work well with Windows?” Or, “Macs don’t work with our PC server?” They are all untrue. It always frustrated me when a PC-centric IT person would scoff at Macs. Conversely, Windows machines are an important part of many workflows. About 15 years ago, I met Noel Materna, who was my opposite: he had years of experience with — and loved — Windows. We formed a working relationship, and worked on many mixed Mac-PC networks during the last decade. Sadly, Noel, with whom I worked but who separately owned PCMacNetworks, passed away July 10, 2017. If you have Macs that need to work in a Windows environment — or PCs that need to work in a Mac environment — I can help. These days, companies rely more than ever on email. I don’t sell email, but I do plan, configure and implement email for many companies. I have significant experience with Microsoft Office 365/Exchange 365 email, and it is the solution I recommend to customers. It’s reliable, secure, flexible and affordable. I started working on computers back in college. The first computer I used was a Tandy 1000 PC, but then I discovered Macs, integrating them into my college newspaper and making The Carolinian at USC-Upstate perhaps the first college paper in South Carolina fully designed on a Macintosh. I’ve used Macs for more than 25 years, and managed numerous Mac and Mac–PC networks for businesses. And yes, I do have a life beyond technology. I love to travel, enjoy fine dining and wine, and coach some great high school kids who participate in National Speech & Debate Association events. Server and workstation hardware and software; color management; network design and implementation; user training; Mac-PC integration; backups; security. Vintage Macintosh (including OS9) hardware and software support (including Baseview Ad Management). Workstation hardware and software, user training, security; backups; network design. Website development and social media strategy. Microsoft Office 365 deployment. Writing, photography, editing; print and online design; preflighting; prepress.